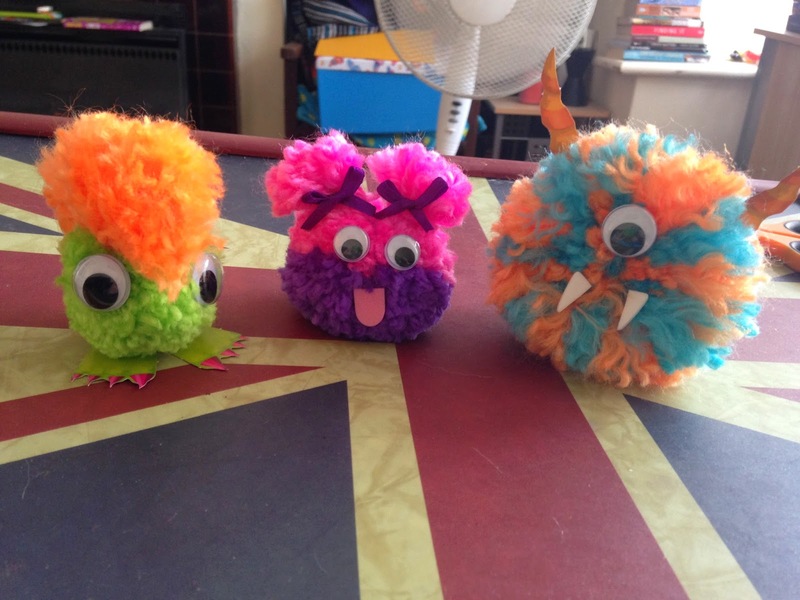 An old favourite gets an innovative makeover: now kids can create, cut and style their own pom-pom monsters. The Klutz-created pom-pom maker with integrated numbering system provides customized hairlines and facial features. Pom-poms emerge that can carry off a mop top, an afro, pigtail, mohawk and just about any other hairstyle in a variety of colours. Also includes fun accessories including foam teeth. Over the years I've owned many of the Klutz craft books and as a big kid at heart I still love them now. The great thing about these kits is that they always include everything you need to get started. You can be completely new to making pom poms before opening this book and you'll still be able to make a brilliant selection of monsters by following the simple instructions and using the materials provided (the only additional thing you'll need is a pair of scissors). This kit includes 5 different colours of yarn, a pom-pom maker (we used to use cardboard when I was a child rather than this snazzy plastic device!) and all kinds of embellishments to stick on to the monsters to add things like eyes, teeth, horns, wings, shoes, sunglasses etc. 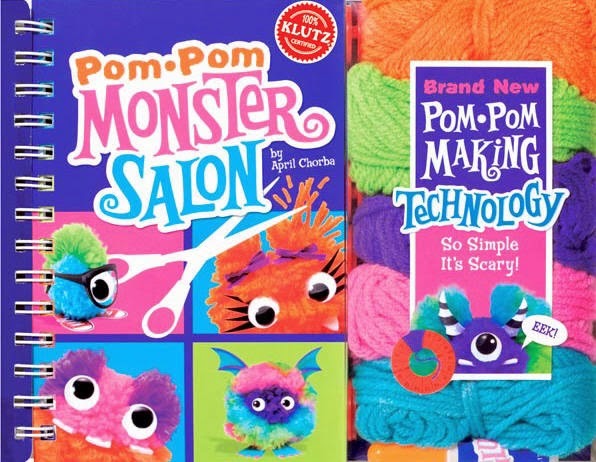 Pom-Pom Monster Salon is packed full of ideas to help you get started but you're only limited by your own imagination and the possibilities are endless. Who doesn't want to be able to make adorable little monsters with pigtails or a mohawk?